When you are the owner, framer, bookkeeper, janitor, there is no question that these many tasks put great burden on you, your time and enthusiasm. Randy has done a great job in balancing all of this; and his shop has many of the newest products to show folks, including the Urban Ashes Collection of frames and mouldings taken from old Detroit factories and buildings. Located in his back yard, Randy is wise to share this product line aggressively with his customers. 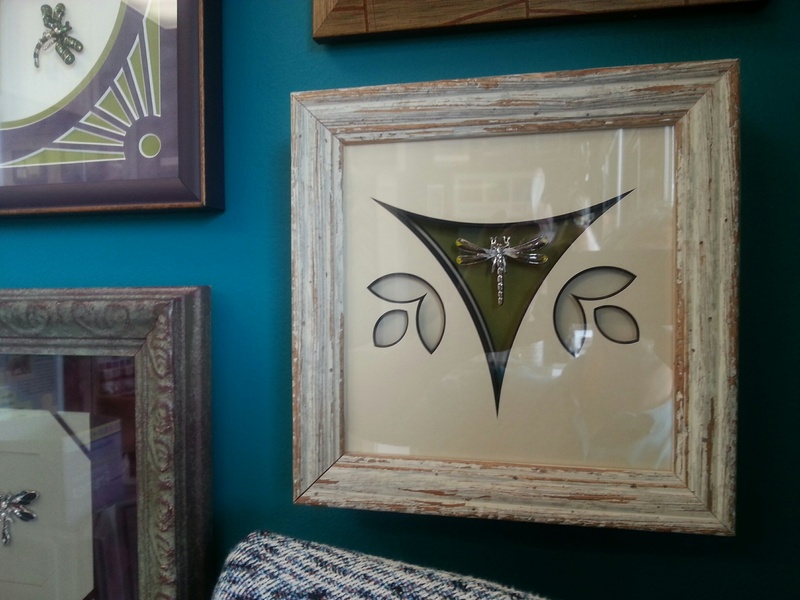 Created with scrap moulding and matting, John Barlow frames small dragonfly pins! 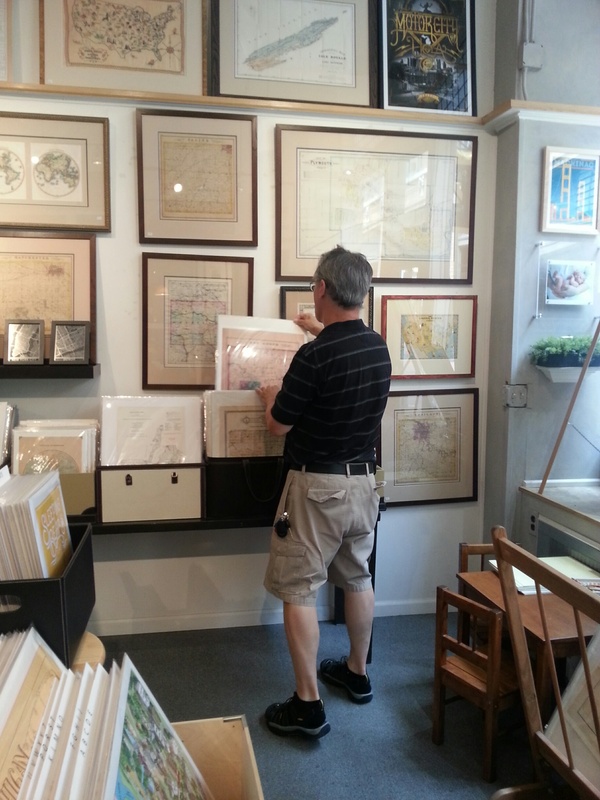 With many wonderful framers in Ohio, it was difficult to hand pick only a couple, but none-the-less, we selected one established framer in Fairlawn, Ohio. Lori Drugan, has had the passion to own a genuine gallery to compliment her framing business every since she opened her shop in 2001. In 2013 she fulfilled her dream and was able to double her size in the same building location, a bold move considering the economy. 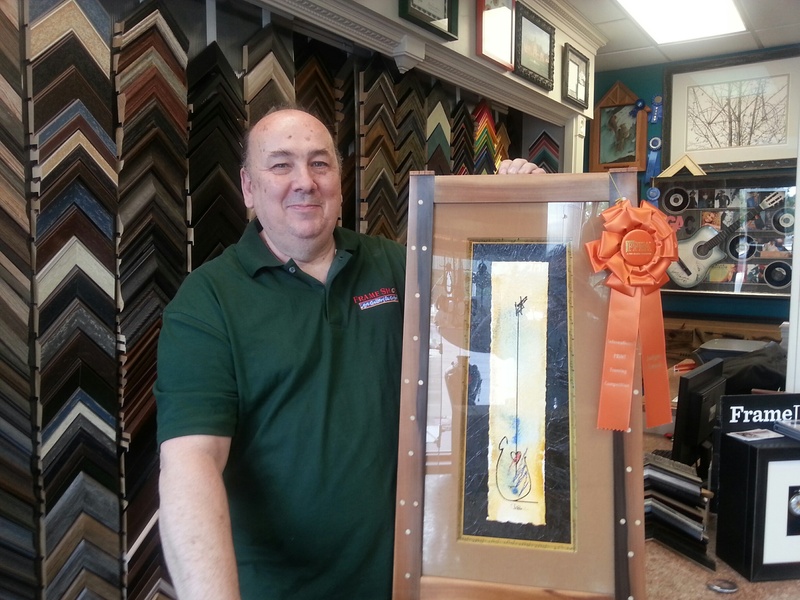 Gallery of Framing in Fairlawn is run by Lori and her manager Ahlene Lucas. 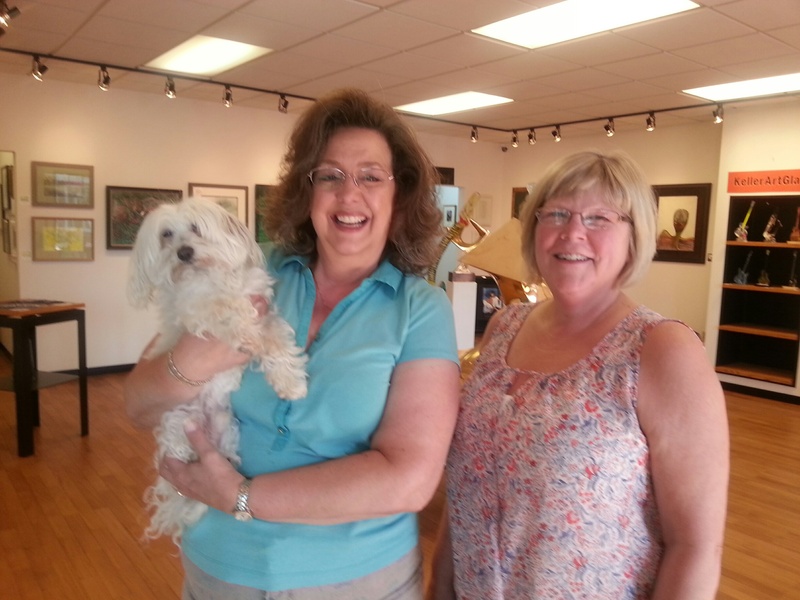 The frame shop & gallery is guarded by Nobou, a 12-yr old Malti-poo! Takeaways… The beautiful location is complimented by great parking and an adjacent garden in their strip center, but any framer visiting as we did would envy the organization and cleanliness of the workshop area. In plain view of visiting customers and gallery patrons, the frame shop definitely instills confidence and professionalism. As this established business elected to expand in the recession, it was learned and appreciated that it was their dedication to “make it work” and maintain image and a marketing budget that has helped them survive! John, your blog looks great! Welcome to WordPress! Looking forward to more posts! Susan and your friends at Metro Atlantic PPFA.